Penny Schmitt wrote: “Not kidding. 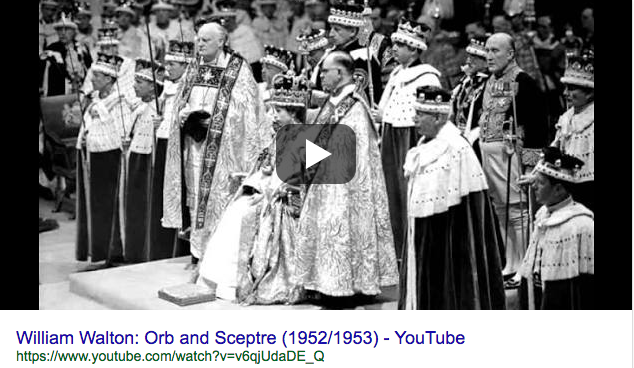 Tuesday afternoon just after 4:00 p.m. Lynne Warfel actually introduced William Walton's "Orb and Sceptre" march as having been "played at every Coronation since it was written." Since this march was written for Queen Elizabeth II's coronation in 1953, and this is the one and only coronation that has taken place in the United Kingdom since, that certainly stopped me in my tracks while putting away the clean laundry! I know Lynn is not a local staffer, but could not resist reacting to this whopper!!!!" And this is Cleve speaking: I don’t know Lynne either, but I wonder if it’s possible that she knew what she was saying, and said it tongue-in-cheek. [I] Love car talk. One of best you have. Some conservative programming would balance. Ps love BBC news too and all things considered. Thanks for keeping me informed. First class procedure. Another reason I listen, enjoy, trust & support this station. BBC inclusion is kuel. And yes, he did spell it that way. An anonymous listener called the station Wednesday to report a serious traffic accident in Wilmington. He asked if it would be possible for the station to have some way of relaying traffic information on the air. A bit of background here: several years ago we did regularly air traffic reports on Morning Edition. It was a very difficult operation to co-ordinate and we frequently found ourselves broadcasting outdated information. Given that we cover as many as 22 counties in our region, we elected to discontinue this service. We expected some listener pushback about that, but there was essentially none. And with the growth of smartphone apps for everything these days, I’m not at this point persuaded that it’s the best use of our listeners’ time, except possibly in the case of major emergencies. But it’s a valid question; thanks for asking. Get rid of BBC News. I became a day sponsor and didn't get a mug or tee shirt! Unfortunately, since this message was truly anonymous, we don’t know how to correct this oversight. Please let us know who you are! I hear a lot of folks complaining about lack of coverage of conservative views. Perhaps these individuals aren't listening at the correct time because I've heard plenty of interviews and covers with conservative representatives and people in general. Recommend to those folks who feel that way to utilize their resources adequately before accusing the entire station. I would love Fresh Air at 7 pm (again). [the station is] Fantastic overall. Love Brooks and Dionne [on Friday All Things Considered]. Love Political Junkie. State of things doesn't try to be centrist so its hard to claim centrality there. I'm a progressive so it's no personal bother to me. I've been a public radio listener for 30 years. 10 in L.A. 20 in Wilmington It is an integral part of my world! Thank You! My radio is on most of the day and often at night. I enjoy BBC when I can understand what they’re saying. They talk fast and many don’t enunciate. And I thank Ann for her message to me on my retirement.